This beauty is Black Dahlia Lacquer Dandelion Fields. I think it’s my favourite of the six BDL polishes I have so far! 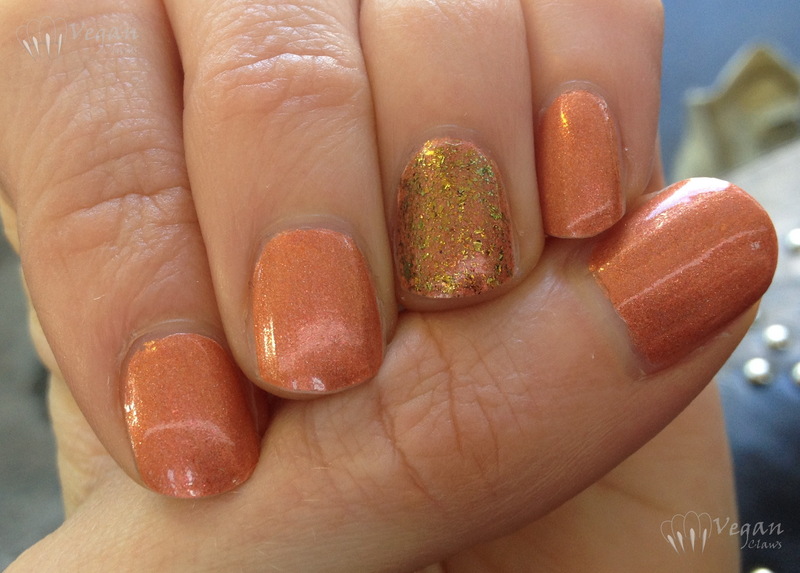 It’s a muted coral-leaning orange holo with pinkish-copper flecks. 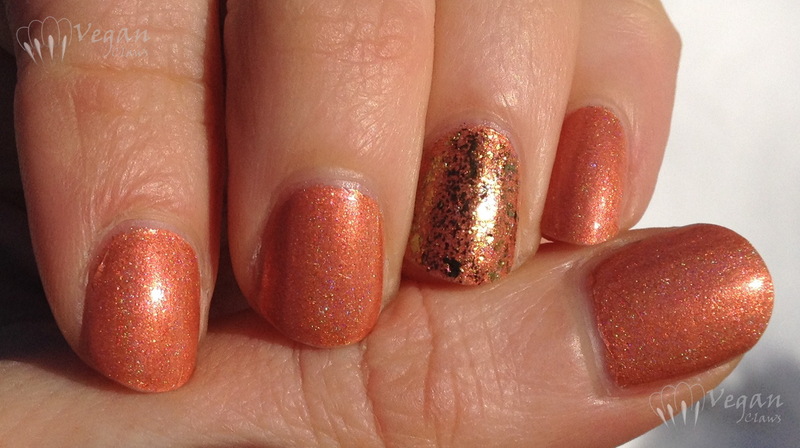 This is two coats plus top coat, shown under Ott Lite. I found the formula slightly thick but not difficult to apply. Thanks, it is isn’t it! ?